In our latest “ I am A Mainframer” interview series, Jeffrey Frey, Retired IBM Fellow, chats with Misty Decker, Program Manager atIBM z Systems Academic Initiative. Misty joined IBM in 1991 and has held a variety of roles at IBM including z/OS Systems Build, z/OS Release Manager, z Systems Firmware Manager, Customer Satisfaction and University Alliances. She currently leads the IBM z Systems Academic Initiative enabling universities around the world teach Enterprise Systems to students IBM clients are looking to hire. The IBM Academic Initiative provides curriculum and access to system resources to universities and then helps aid students in finding positions with our IBM clients. Misty holds a BS in Mathematics from Virginia Tech and MS in Information Systems from Marist College. Misty is also active in the community, currently serving on the Board of Directors for Hudson Valley Federal Credit Union and singing alto in Cappella Festiva Chamber Choir. She is married with two young children and lives in Rhinebeck, NY. On this podcast, Jeff and Misty talk about how she explains mainframe to students who have never heard about it. They focus the conversation around the kinds of things Misty does to engage students. If you’re a mainframe enthusiast or interested in the space, we invite you to check out our new community forum. Create a profile and post a selfie with your mainframe system, and you will receive an exclusive “I Am A Mainframer” patch. Jeff Frey: Hello, I’m Jeff Frey, a retired IBMer and IBM Fellow, and previously the CTO of IBM’s mainframe platform. 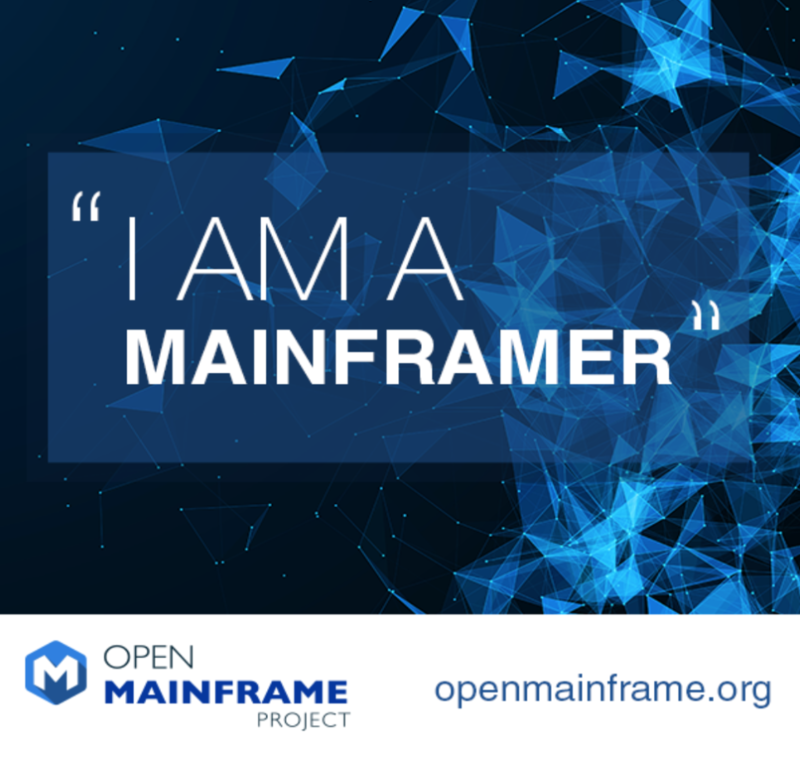 It is my distinct pleasure to host another edition of the I Am a Mainframer conversation series, sponsored by The Open Mainframe Project. As a Linux Foundation collaborative project, The Open Mainframe Project is intended to help create a mainframe-focused, open source, technical community. It’s also intended to serve as a focal point for development and use of Enterprise Linux in a mainframe environment. The goal of the project is to excite the Linux community and the mainframe community, in general, around the use of the mainframe and to foster a collaboration across the mainframe community to develop and exploit shared tool sets, resources, and services in a mainframe environment. In addition, as we’ll see today, the project seeks to involve the participation of academic institutions to help assist in creating educational programs aimed at developing the mainframe engineers and developers of tomorrow. For today’s conversation, we have the pleasure of speaking with Misty Decker, of IBM’s Z Systems Academic Initiative. Misty joined IBM in 1991 and has held a variety of roles at IBM, including z/OS Systems Build, z/OS Release Manager, Z System Firmware Manager, Customer Satisfaction and University Alliances. She currently leads IBM Z Systems Academic Initiative, which enables universities around the world to teach enterprise systems to students, IBM clients are looking to hire. The Academic Initiative provides curriculum and access to system resources, to universities, and then helps aid students in finding positions with our IBM client. She holds a BS in Mathematics from Virginia Tech and a Master’s in Information Systems from Marist College. Misty, welcome to the broadcast. It’s great to have you on today. It’s been a while since we’ve seen each other. This should be fun. Misty Decker: Thank you, Jeff. Yeah, it’s great chatting with you. Jeff Frey: All right, so to get started, tell us a little bit about this Academic Initiative and what you do. Misty Decker: Oh, sure. The Academic Initiative Program, the focus is really on helping to solve our client’s skill needs around the mainframe. I’m often asked, “What do you mean by mainframe skills?” My answer is whatever our clients define that as. Whatever skills they need for the mainframe enterprises. That can range from classic, old-school, mainframe skills like Cobol, which is the number one thing I get asked for, z/OS, hardware systems administration, also DB2, but then it’s also the newer stuff. Linux Sunxi is definitely an area of interest. Java programming skills are of interest. Then we have things like blockchain, machine learning, and Spark Analytic Sunxi. It’s really all the way across the board. Anything that’s in this mainframe space. Jeff Frey: In terms of the Initiative, how do you go about introducing young people to the mainframe and fostering an interest in this platform? Misty Decker: Oh boy, we don’t have time to go through everything that we have to offer, because there is so much. We do a wide variety of things. The number one thing that is most popular is a contest called, Master the Mainframe. This contest assumes that the participant knows nothing about the mainframe at all. It starts with just learning how to log into the environment, how to navigate around. The first time somebody uses Windows, they don’t know how to start a program. You have to teach them that. Then you have somebody that’s only known Windows, and they move to Linux. They have to learn how the file structure is different and how to change directory, how to access different programs. The first thing we do is teach them how that environment is different in the mainframe. Everyone’s pretty much starting at the same level. The contest challenges progress pretty quickly. If you make it all the way through, you will be writing a program in AX, in the mainframe environment, usually accessing data on the system, just like a real company would be doing. The prizes are available only to students, but the challenges have been so successful in teaching people and in a fun way, in a nice progression. We have people asked to use it, just for learning. Even if you’re not a student, you can still use the contest just for learning. We have a copy of the entire system available for people that are just playing around. Jeff Frey: Yeah, that’s really cool. I know a little bit about this from past experience. How big is the program? How often is it held and how do people find out about it? Misty Decker: It is a worldwide contest. It runs every fall, in September through the end of December. We have a website, masterthemainframe.com. We partner with AngelHack, so that is can be delivered worldwide. We just announced our worldwide winners. There’s a blog out there. I’m sure there’s a pointer to it from our website. I hope there is. to see who the winners are from 2017. Jeff Frey: Yeah, that’s cool. Tell me about the reactions that people have to some of this. One of the things … We talked about this on several prior calls that we’ve had here about generating interest and overcoming some of the presumptions and perceptions about the mainframe. It’s been my experience, and we can share this with the audience. People who are involved in this contest, especially young people, many of the get surprised about just how vital, how fun, how technologically advanced this platform is. Talk to us a little about that and what’s been your experience in terms of people who have not been exposed to the mainframe before? What their reaction is once they get into this. Misty Decker: The reaction varies based on the age, to be quite honest. When I talk to people that were around in the 90’s and the 2000’s when there was a very large marketing campaign about the mainframe is dead. The mainframe is going to be shut off in a few years. Those people, I have to spend a lot of time convincing them how the modern mainframe is not the mainframe that they’re thinking of. You can’t call a 2017 Corvette an old car. Yet, Corvettes have been around as long as the mainframe. For those middle-aged and older people, I have to spend a lot of time undoing a lot of their preconceptions. When it comes to the younger people, they’ve never heard of the mainframe. They come to the table with no idea of what this is. They’ve never heard of it. When they look at it with a fresh set of eyes, you should literally see their eyes literally bug out when they see the size and the capability of this machine. I was at an event where they were talking about the new z14. I forget how many terabytes of memory it is in the z14. Jeff, I can’t even remember. Anyway, terabytes. Jeff Frey:Yeah, z13 was my last. Misty Decker: Oh, okay, but it’s terabytes of memory. A student leaned over to his friend and mouthed, “Terabytes of memory.” They were stunned at the capabilities of this machine. To them, it’s just another server that’s a lot bigger. As we lay on the security features that are on this platform and not others, the redundancy, the reliability, the fact that you can upgrade it while it’s still running, the hot swaps, they’re just amazed that something like this exists, because they’ve never heard of it. It’s honestly very, very easy for me to convince the younger generation to pursue the mainframe. I just did a lecture a few weeks ago to a classroom of 50 students that had never heard of the mainframe. At the end of my one hour lecture, I said, “How many of you are going to leave this classroom and go pursue Master the Mainframe and some of this online courses?” 90% of them raised their hands. It’s not a hard sell. It really isn’t. It’s a hard sell to people that have those preconceived notions. Jeff Frey: Yeah, so let me be a little bit provocative here. I think it’s great. It’s very encouraging when people with a fresh outlook and an unbiased outlook are introduced to the platform. They see the great technology and the qualities of service of the platform, et cetera. You had also mentioned some more established people. We, collectively, have a little more challenge in convincing them or getting them to look at the platform in an objective way. Those are the people that typically have the experience in running various aspects of the data center. What is it that … I guess it’s a combination of things. The young kids coming out of college can think this is the coolest thing ever, but if they’re not enabled or afforded the freedom and flexibility to work on this platform in traditional IT shops, that could be an impediment. Do you see that as a challenge as much as I do, I guess? What do you think about that? Misty Decker: It’s definitely a challenge. It’s definitely a challenge. When I talked to clients about their challenges, it’s quite often they’re executive management that doesn’t understand the capabilities of the platform. Everything they know about it, they read in 2005. There is a large challenge for the global mainframe community to educate decision makers that have outdated information. It’s very hard to tell an executive, “Everything you think you know, you’re wrong.” I don’t want to be the person telling them that. That’s kind of what we need to do. Yeah, that is a major challenge. Take advantage of what the machine can actually do for them, as opposed to just letting it sit back and do what it’s always done for them in the past. I tell them that they are our bridge. They are our bridge to the future and that the mainframe … This is an important point. I know you. You know me. The mainframe community is a very close knit community. It’s a tight community. When these young people join the mainframe, and they become a part of our family, of our mainframe community, they often reply to me how struck they are by how people embrace them. They bring them in. They’re happy to show them the new things that they’re working on, teach them with their experience, and listen to them. This is what we need. We need to have this next generation come in, be a part of the mainframe community. and help us all to grow. Jeff Frey: Yeah. I couldn’t agree more. The other thing is I kind of want to ask you what aspects of the platform really are the most exciting to people who haven’t been exposed to it before? There are lots of different ways to talk about mainframe. We could talk about its traditional role in running the world’s economy. We can talk about in this day and age, the level of trust that people place in this platform, the level of security that it provides for protecting people’s information, security breaches. We can talk about availability. We can talk about … I would imagine very important to young developers is the availability of programming environments and tooling, state of the art tooling. This stuff is all moving extremely fast. The mainframe has to keep up. What generates the most excitement when you talk to people about this? Misty Decker: I like to spend quite a bit of time talking about the latest trends in information technology, and how the mainframe and its traditional qualities perfectly position it to be important in those areas. For example, I’ve had a number of those middle-level people tell me, “Well, cloud computing is going to make the mainframe irrelevant.” When you explain how cloud computing is a paradigm and that every cloud has to have hardware that it runs on. How the mainframe’s virtualization and the fact that you can have thousands of images on a single box. How that saves your data center so much space and complexity. This is the kind of thing that really makes the bells go off for younger people, in particular. They can see how the traditional qualities of security, virtualization, capacity … I mean you can’t run any other box at 99% utilization all of the time, but that’s really important in the next generation of computing. They can see how the world is swinging back to where the world of IT is looking for something that delivers what the mainframe already delivers. Cybersecurity is a very, very hot topic. There is no platform that can offer what the mainframe does from a security point of view. The other thing that makes so much sense to them is every time you move your data around, you create another attack point. Using the mainframe, I like to call it a lockbox, where your data is kept secure in a central location, locked down on the most secure platform possible. Then you use RESTful APIs to enable all of those periphery applications. This type of thing really makes a lot of sense to the next generation. It positions the mainframe, not as an either or, but as a part of a total IT perspective. I think that’s really what makes sense. Jeff Frey: Well, I don’t think I could have said that any better, Misty. Jeff Frey: Yeah. I think we’re probably out of time here. Let me take this opportunity to just thank you once again for being on the broadcast. This was a very cool discussion. I’ll look forward to seeing you again around town locally somewhere, if I run into you. Thanks again. Misty Decker: Oh, yeah. Great. Thank you so much. It was a pleasure. Jeff Frey: You bet. All right, folks, that’s it for today’s conversation. We’ll see you next time. Bye now.